Lack of an official Windows Phone Instagram app is a major sticking point for many a user, but a few solutions have marched along and tried to fill the filter-less void. Now, however, it appears Instagram is shutting down some tertiary app access, apparently through a change to its API. Initially reported by The Verge, an Instagram rep told TechRadar that the company recently updated the systems it uses to fight spam "to help prevent future attacks and increase security." Great for spam-haters, not so good for apps tapping into Instagram through non-official API routes. One such application is Instance, a "fully featured Instagram client" that lets users conduct all Insta-activies. It's not Instagram approved, but unlike Hipstamatic Oggl, it allows for photo viewing as well as uploading. Apparently starting Monday, Instagram started deleting images uploaded via Instance. Daniel Gary, Instance's developer, noticed the disappearances and put the word out on Twitter. Gary told The Verge that Instagram appears to be "detecting when photos are not uploading via the official app." He noted he doesn't blame Facebook, Instagram's parent company, for blocking Instance. 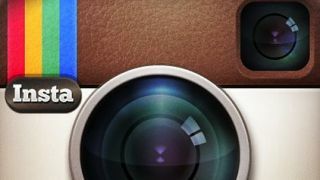 Another third-party WP Instagram client called 6tagram also appeared to be having upload problems. Instagram told us that the updates aren't targeted at any specific application or platform. Any app that accesses Instagram against the terms of its API could be affected. Maybe all the headache could be solved by bringing an official Instagram app to Windows Phone? Merely a suggestion. You may not have Video on Instragram luck on your Windows Phone device, but there is Vine support on the way.